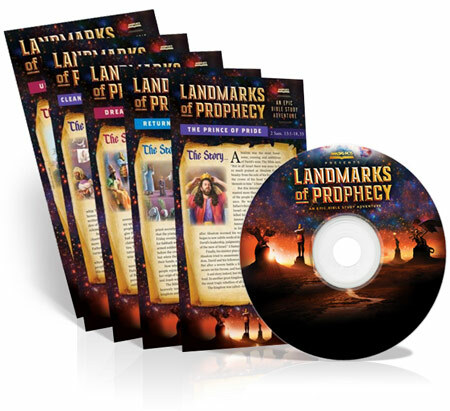 Landmarks of Prophecy is a fascinating series of DVD presentations by Pastor Doug Batchelor, president of Amazing Facts, that comes with companion study guides. You’ll delve into the pages of the Bible to get clear, trustworthy, logical answers to your most pressing questions about life, faith, and the future—while getting life-changing insight into what lies next in human history and the practical tools you need to thrive in the here and now! While Landmarks is a unique study experience in the Bible, you don't have to be a Christian to enjoy it. It has been designed so that anyone from any denomination, faith, or worldview can learn what the Bible really has to say about prophecy and much more. Using the latest media technology, this series presents the landmark themes of the Bible in a bright and compelling way.